There is no shortage of great bars in Bend so you’ve got to be someplace pretty special to be voted “Best Bar” and “Best Specialty Cocktail” in Central Oregon. Dogwood Cocktail Cabin is that place. Located smack in the heart of downtown Bend, their mixologists shake up uber-creative concoctions that are shaking up the cocktail scene across the country. The drink menu is categorized by libation – gin, vodka, tequila, rum, and whiskey – and each features a combination of local ingredients, infusions, spices, and top shelf liquors that provide the perfect alchemy of strong and soothing. 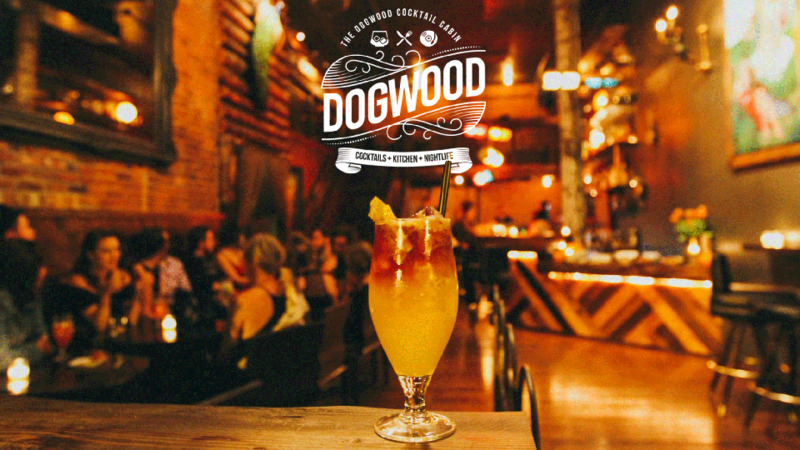 If cocktails aren’t your thing, Dogwood has you covered with a great selection of beers, wines and ciders. Of course, you’re going to need something to soak up those drinks, and Dogwood’s small plates are as creative as their cocktails. Order up a few to share, then kick back and take in the high ceiling space with its black walls, private niches, and oversized artwork that will have you doing a doubletake (no, really). Dogwood is open Tuesday through Sunday from 5:00 p.m. – 12 a.m. and Cabin Fever happens every day 5:00 p.m. – 7:00 p.m. with 25% off everything on the menu.